I have a bit more to show you on the Master Knitter front today! 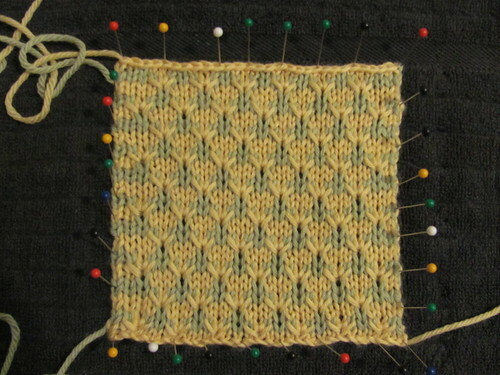 I only have about 4 swatches left to knit (one is a re-knit of a previous one). Yay! 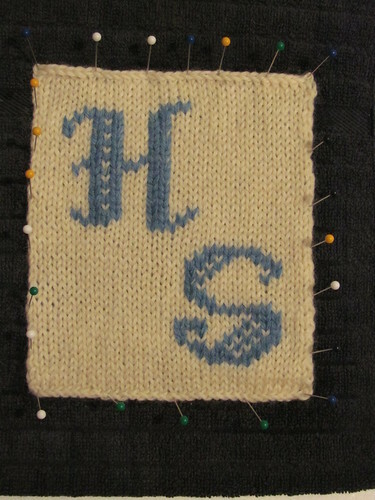 I finished my Fiber report, and I’m just tweaking it now. (My husband does a good job as an editor, so he gives me back papers full of red ink. 🙂 ) One more report to go. And 4 book/magazine reviews. But I think it’s helping my sanity by tackling the written work as I go along and not saving it all for the end. That’s what I did with level 2 and it really sapped the energy from me, so hopefully this way I can stay motivated. I’m much happier with this one! I’m in the middle of re-knitting my smocking stitch swatch right now. I think I’m managing the tension issues between the ribs much better this time. After that I just have to do the Bavarian stitch swatch (that one’s a tough one, but I have the pattern all charted out at least! 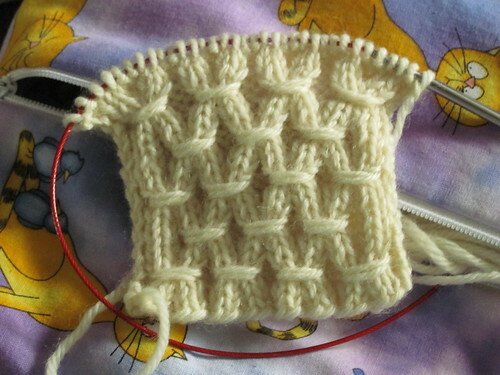 ), the charted symbols swatch (I still need to chart a design out – it can be lace or cables or both), and the entrelac swatch. I’m having trouble deciding on how to write the pattern for the entrelac one – there are a couple of different ways I can approach it. So, I hope to be completely done with the swatches by next week, and have some sweater swatches to show you too! We’ll see. 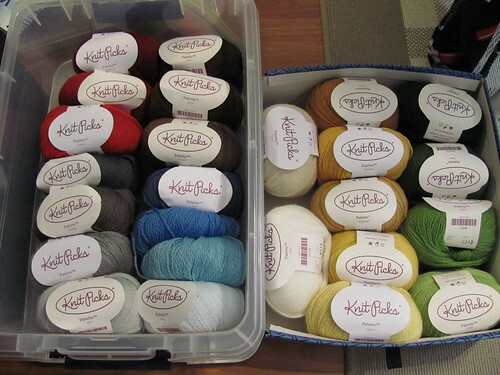 Next postWiP Wednesday: More Master Knitter Swatches, of course.